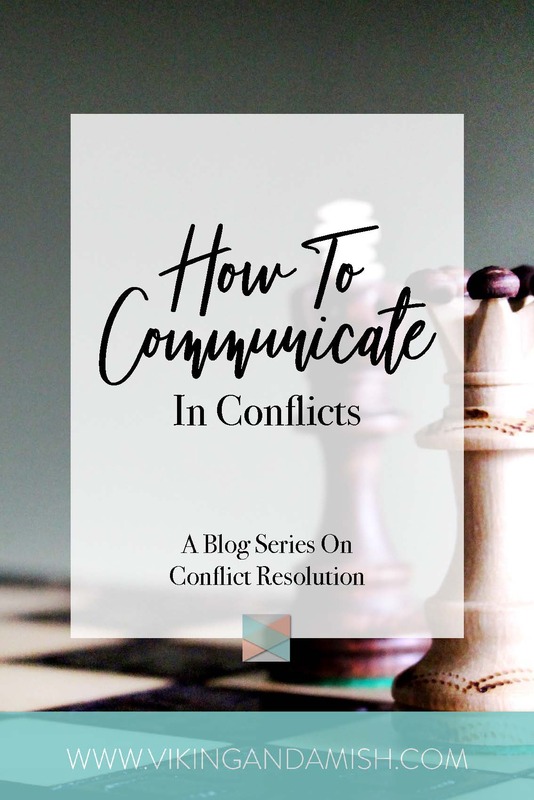 This blog is the second part of a three-part blog about conflict resolution. Conflict resolution is an extremely useful tool in relationships. 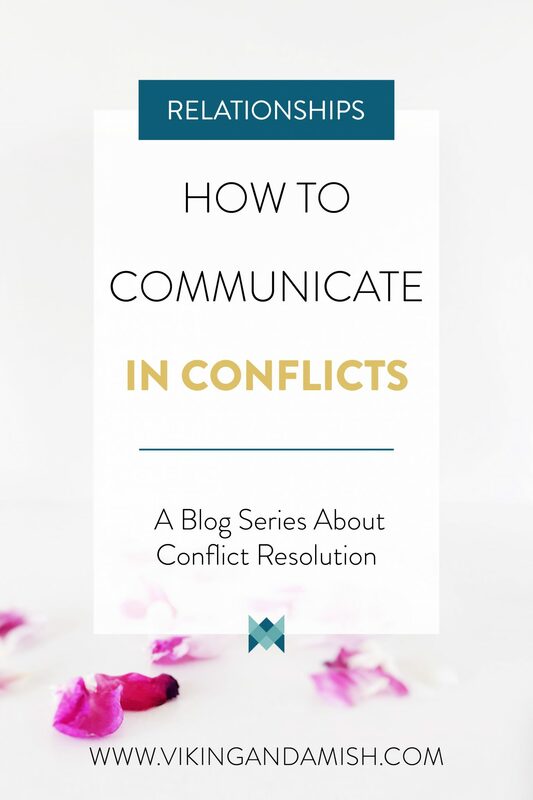 The first part of conflict resolution is about recognizing the emotions you feel. We are responsible for our feelings and accountable for how to deal with them. A mature way of coping with emotions is to communicate them. As this is not always easy, this blog will focus on how we can do that. The purpose is to learn techniques to express emotions constructively; a way that encourages collaboration and engagement. Acknowledging how we feel and taking charge of your emotions was the purpose of the first blog of this series. After recognizing your emotions, you will have to make a decision. Is a basis for sharing how you feel, or should your feelings remain private so you can deal with them on your own? You want to avoid lashing out at the other person, but you also want to prevent bottling the emotions up inside and act like nothing is wrong. This is called “I” and “You” language, and they have very different effects on the receiver. Not only is “I” language more precise than “You” language, but it also limits defensiveness and perceived judgment. 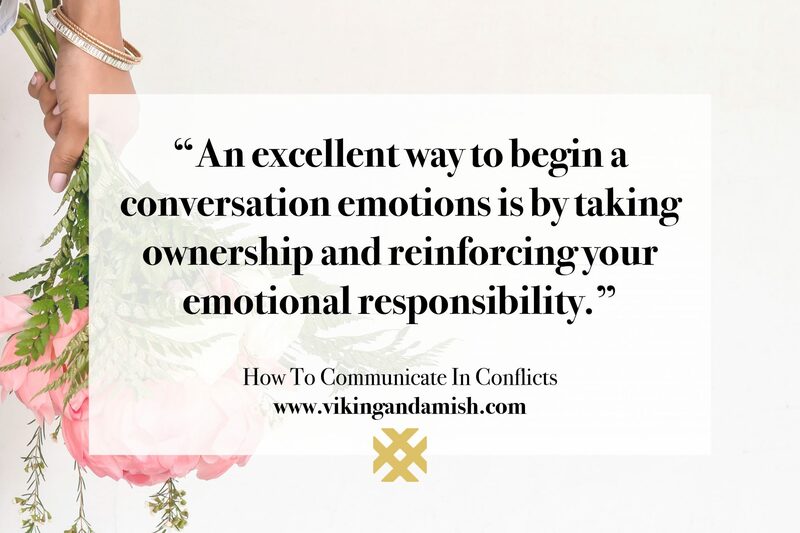 To reemphasize; an excellent way to begin a conversation emotions is by taking ownership and reinforcing your emotional responsibility. Sometimes when another person’s actions influence your emotions, we need to address it to move on. Perception checking is a tool that monitors the interpretation of a perceived action. In a conflict when feelings are hurt, it’s often hard to be objective. That is why many conflicts begin based on the interpretation itself. Interpretations are subjective matters, not facts. This means it is possible to change our interpretation which influences our emotion. 1) Describe the behavior you noticed or the message you heard. 2) Give at least two interpretations of the action or the message. Try as much as possible to give two interpretations. 3) Request clarification of the action or the message. The goal of this sort of conversation is not to attack or cause division, but to seek clarification and cooperation. The request for an explanation implies that you want dialog instead of jumping to conclusions. Most people are willing to clarify their intentions if they experience sympathy and diplomacy. Perception checking can prevent unnecessary conflict development. Emotions that can be hard to describe. That is usually because feelings are much more complicated than the immediate and primary emotions. We need to become better at explaining how we feel over simple mood words. An example of these pure emotions is happiness, anger, fear, and sadness. To describe our feelings with these words often don’t cut it. It can indeed help to expand our emotional vocabulary considering it helps us discover what we honestly feel. 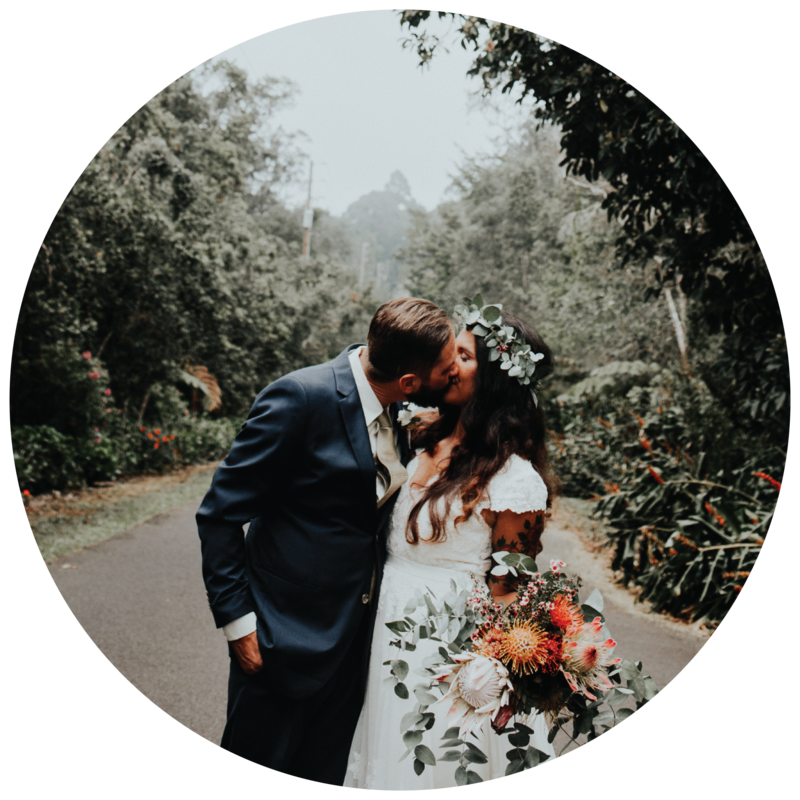 This blog has an emotional wheel included. 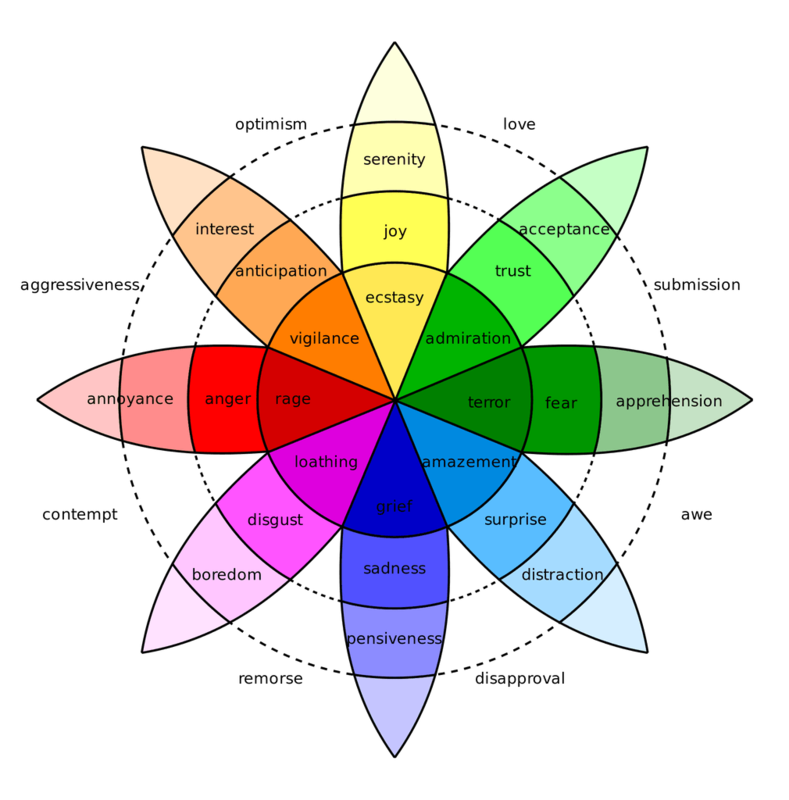 The wheel can help us find words to describe what we feel. The more fluent we become at pin-pointing complicated emotions, the easier it is for us to categorize and share what we are experiencing. Many situations arouse more than one emotion. Say your spouse doesn’t come home from work until late in the evening without a single phone call. The mix of emotions could be anger, relief, happiness, and anxiety. In a situation like such, we would tend only to express one emotion. Unfortunately, we default to the most negative emotion, and neglect to show the other emotions we might feel. When the opportunity arises, it might be appropriate to share some of the positive feelings as well. To some, it might seem natural to introduce difficult conversations or topics face to face. Others might see no issue in communicating online or through text about difficult emotions. I will encourage people not to do that due to the simple reason; text-based communication is much easier to misunderstand. Another small, but significant thing to consider is timing. The mood, the energy level, or the amount of stress the other person is under can have a considerable effect on the way they receive your message. It can help to begin with agreeing on a time to talk about the incident. That can level the playing field for the other person, and prepare them for challenging conversations. All relationships have conflicts, but when we are in healthy honoring relationships it is much easier to deal with conflicts. Perception checking can seem over-simplified, but with practice, it can be natural and constructive. Though it might not work 100% of the time, I have yet to experience it not work. The purpose of conflict resolution is not just sharing how “I” feel, but also allowing the other persons emotions into the conversation. Dialogue permits expressed vulnerability and acceptance of responsibility. The responsibility is not merely for emotions, but also for the direction you want the relationship to go in. 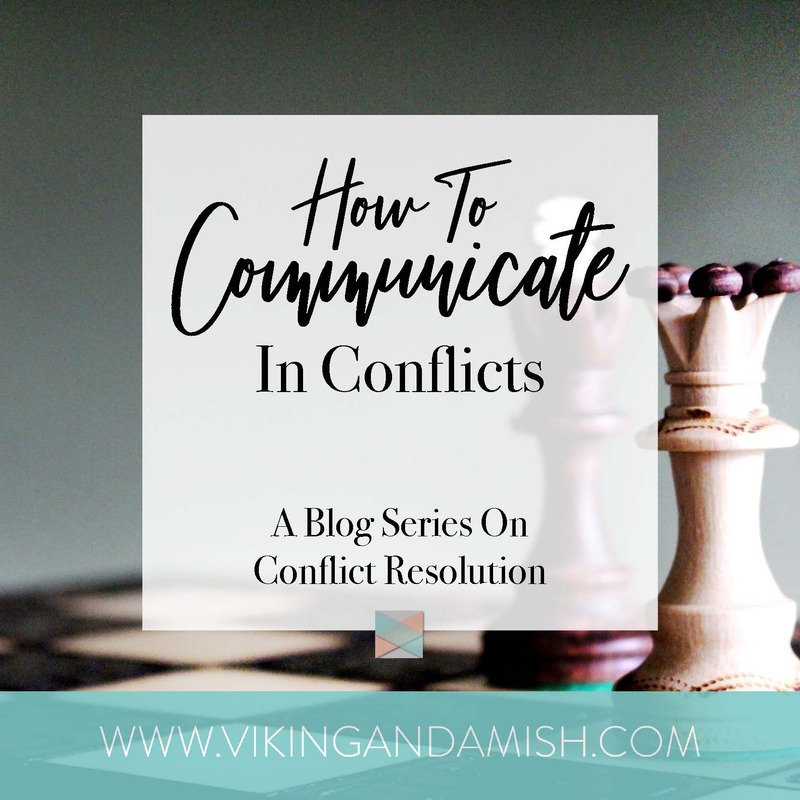 The next blog will focus on what to aim for in conflict resolution. 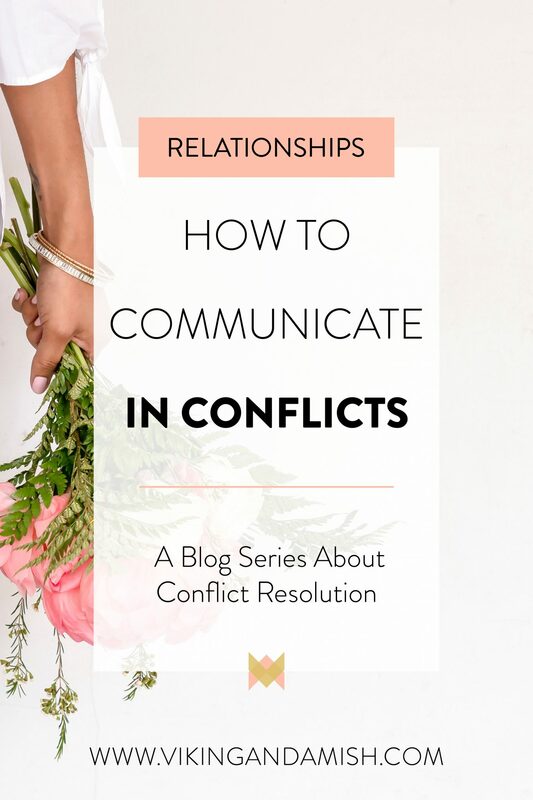 Conflicts are healthy for a relationship if we are able to collaborate instead of divide. Thank you for reading. Please share the love and feel free to post your opinion or thoughts in the comment section below.